Close the deal, complete the real estate transactions and keep both Buyer & Seller happy! Once everything is agreed on between Buyer and Seller, the process of buying and selling a house is almost complete. 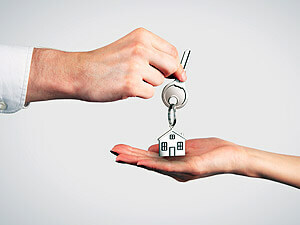 However, there are still a few steps left before the real estate transaction is fully completed. Now the deal needs to be closed, the transaction signed off and ratified and the handing over of the keys is completed. To ensure that this final hurdle is negotiated smoothly, there are a few things that need to be taken care of. To close the deal – or to complete the "escrow" or settlement – there will be legal conditions that you must meet. These conditions must be met by the Buyer or Seller before the closing date to avoid any surprises. The Buyer raising the necessary funds to secure the property. Checking the legal documentation relating to the property, ensuring that there are no third parties with a title claim who could derail the hand over. This is also known as a Title Search. Taking out Title Insurance to provide protection against any mistakes or oversights in the process. Bringing in a third party professional to assess the property's value and also ensure that the property is in full working order and legally compliant. The Buyer carrying out a final check on the property to ensure everything is as agreed prior to the hand over and to check that any previously agreed improvements or changes have been completed. Do not enter into this stage of the process lightly, as any mistakes can be disastrous. Get an expert Collingwood real estate agent to help you check over the sales agreement and to ensure that all conditions have been met. Calculating the tax bill for the Buyer and ensuring payment. Calculating any additional legal fees and ensuring that they too are paid. Act as a legal witness to the signing of property title transfer and any other legal documents. Transfer the net proceeds of the transaction to the Seller as well as the other necessary documentation. Record the new property titled in the name of the Buyer and ensuring that the mortgage agreement is ready to proceed as planned. Getting all this done before the cut-off date can be the hardest part, but with diligence and some help from your Real Estate Agent it should not pose a problem. To hire a REALTOR® to close your transactions contact Christine Smith by email or call (705) 888-0201 to learn more about what she can do for you!